One of the greatest sports movies ever made was Field of Dreams, starring Kevin Costner and released in 1989. Costner, playing the lead character – a farmer named Ray Kinsella – hears a voice while walking in his cornfield that says to him (in one of the all-time great movie quotes), “If you build it, he will come”. Ray Kinsella builds a baseball diamond in place of his cornfield and soon after Shoeless Joe Jackson and other players banned from baseball during an infamous Black Sox baseball scandal in 1919 show up to begin playing ball. Eventually, Kinsella realizes that one of the players is his own father as a young man and begins playing catch with him, as hundreds of cars head towards the field to watch the ball game. Personally, I don’t know a man who hasn’t gotten teary-eyed during this movie, no matter how many times they’ve seen it, particularly when the Kevin Costner character turns to his father at the end of the movie and says “Hey Dad? 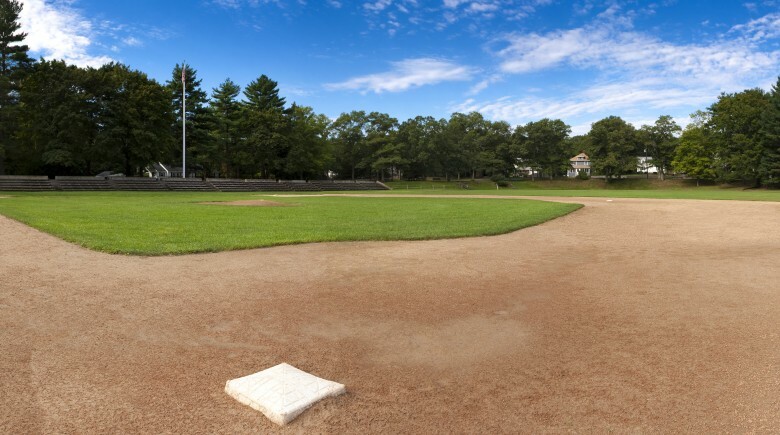 You wanna have a catch?” And the actual field itself, which is located in Iowa and was designated a state landmark, has remained in place, even after all of these years. Earlier this year, an investment group that included Hall of Fame third baseman Wade Boggs purchased the farm for over $3 million, with plans to convert it into a baseball complex. The original farmhouse and the site of the field will not be touched, according to the group that purchased the land. On September 14 in what seems to be a once-in-a-lifetime gathering of baseball legends, an all-star game was held at the field of dreams to raise money for the Wounded Warriors Project, an organization designed to honor and empower America’s wounded warriors by helping injured service members. According to the Field of Dreams movie site, 14 former major league players, including 10 Hall of Famers, participated in the baseball game to raise money for the Wounded Warriors Project. Players such as the aforementioned Wade Boggs, Rickey Henderson (who holds 4 major league records, including most stolen bases) and Doc Gooden (legendary New York Mets pitcher) attended. Also taking part in the game were Jim Rice (the Boston Red Sox player who was the American League Most Valuable Player in 1978), Johnny Bench (who was named the greatest catcher in baseball history by ESPN) and Mr. October himself, Reggie Jackson. And even though he cannot officially participate in anything related to major league baseball because of his admission of gambling on baseball games, Pete Rose – who is the all-time Major League leader in hits, games played and at-bats – also played in the game. Nearly 4,000 people purchased tickets for the game at a cost of $20-$35 a ticket (with all proceeds going to the charity). According to Wade Boggs, the plan is to make this event a yearly thing, kicking off in 2014 which will be the 25th anniversary of the Field of Dreams movie. In a world where we’ve seen too many athletes arrested for too many things to count, it’s wonderful to see so many gifted baseball players come together to entertain their fans and support a truly great charity.